If you're not familiar with the word ghoti you may be surprised to know that it's pronounced exactly the same as fish, or not at all. Consider the gh to be as in through, the o as in people, and the t as in ballet and the i as in business. Native speakers may think we're being pedantic, but learners of English will be all too familiar with how frustrating and nonsensical spelling in English can be! This is because of the orthography of English. Orthography is the relationship between the English alphabet and the sounds letters are supposed to represent. The reason there are so many exceptions to the rules is due to the complex history of the English language. Given the number of exceptions in terms of spelling. You could probably spell any word any way you want. Stupid Ongliti! (English). 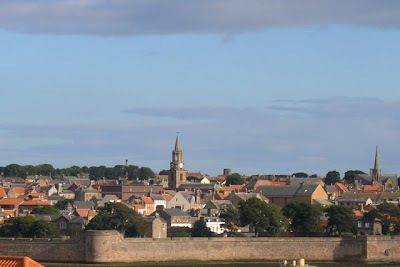 If you're familiar with British place names you may be aware places like Loughborough (/ˈlʌfbərə/ or lʌfbrə/), Edinburgh (/ˈɛdɪnbʌrə/), Alnwick (/ˈænɨk/) or Berwick-Upon-Tweed (/ˈbɛrɨk əpɒn ˈtwiːd/) and many, many more, are some excellent examples of English orthography, or lack thereof. 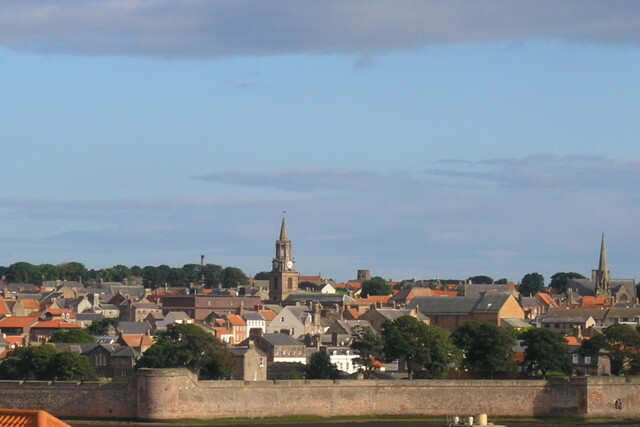 Berwick-Upon-Tweed. It's a lot easier to get a train there if you can pronounce it. Though if you've ever studied French you could probably do the same. That's a challenge for another deigh. OK... we'll stop.